Francisco Sa Carneiro Airport is the airport which services the tourist and commercial platform of the Greater Porto region of Portugal. 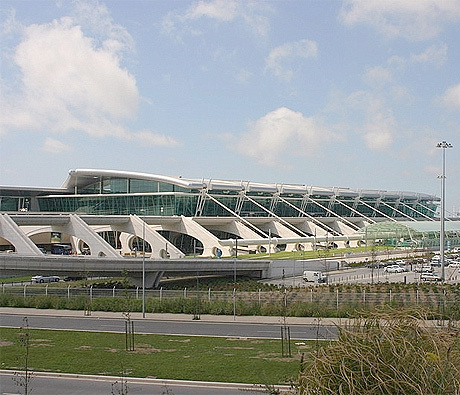 Located some 11 kilometers north of the center of the city, it provides the most time-saving solutions of getting to Porto both due to the international flight connections established by the airline companies which operate at the airport and to the efficient airport transfer means which link the venue to Porto. Luxair, TAP Portugal, Ryanair, Air Berlin, Air Transat and Aigle Azur are some of the most reputed companies which offer business class and low cost flights between Porto and sundry international destinations, such as Brussels, Bordeaux and London, Toronto and Montreal, Milan, Paris, Madrid and Frankfurt. The airport is fitted with both leisure and business facilities. Thus, passengers, as the case may be, can find here ATMs, banking services, a post office, car rental companies, currency exchange desks, not to mention the fact people with reduced mobility benefit from special attendance and facilities conceived such as to ease their passage through Francisco Sa Carneiro Airport. STCP, the company managing the surface public transport system of Porto extends its networks of lines with buses which provide regular trips between the Airport and sundry areas of the city. Thus, there are three bus lines dedicated to such connections, namely, line 601, line 602 and line 604. Of all the six metro lines which crisscross the underground of Porto, the so-called Violet Line is dedicated to establishing the connections between Francisco Sa Carneiro Airport and Estadio do Drago. Intermediate stops are at Casa da Musica, Trindade Station and Campanha Station. A trip from one terminal to another takes about 35 minutes. There are taxis waiting in the stands outside the airport and tourists can rely on their services in order to get rapidly to the city. They should, however, take into account taxi trips can cost a lot more than bus or metro tickets, since the taxi fares also include motorway charges. There are also a handful of surcharges depending on circumstances (time of the day, moment of the week, public holidays, extra luggage and the like). There are several companies which offer private airport transfer services. They can be taken into account by tourists who need the comfort of a private ride or who simply want to start their vacation with an encouraging sense of autonomy. They take tourists from Francisco Sa Carneiro Airport to virtually the entire Portugal. This is but a short list of the said companies.